Clean the room completely to remove all the appearing dust and dirt on the window panes or on the furniture to make them look clean and perfect in the images. It is fundamental for the house owner to remove all the personal things from the house to make it prepare for the photo session and if the owner did not remove then it will attract the attention of the buyer and may provide them wrong demonstration about the house. Be careful while showing the space in the pictures as it will attract the potential buyer and the landlord quickly. It is advisable to keep the domestic animals outside the house as they can destroy the interior photography and with that expensive equipment. It is complimentary for the awesome interior photographs that you add too much daylight in the house coming from all the sources that are from artificial lights and also from the window panes by drawing the curtains apart that are natural light. 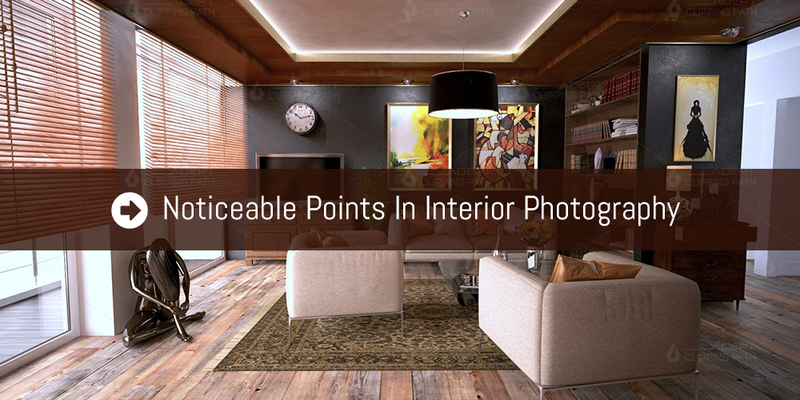 This will significantly improve the looks of your interior photographs and make them blazing. When we are ready with the house then it is the need to show the tips regarding the choice of the camera to shoot the interior design photography. Have a look at some of the budget-friendly options to shoot the real estate photography but with that remember one thing that professionalism and skills go hand in hand with the best camera. Two best options available in the range of the anon cameras for shooting the cool interior photographs are the Canon EOS Rebel T6i and the other one is Canon EOS 5D Mark IV. These are two popular options for having the best photographs. Both the camera comes with the leading benefits that make them the photographer’s choice. Former one provides high-quality images using low sensitivity and has the APS-c image sensor and the latter one is the choice of both the newbie and the professionals in the field due to its handy autofocus system. Have a look on the Nikon option available in the market that is Nikon D750 and this is one brilliant option to have the highest quality pictures with good ISO range and latest video characteristics is the added benefit. Now turn your attention to the lighting equipment that is necessary to shoot the interior photography. This is the fact that the lighting is the crucial factor to be considered for having the appealing and attractive shots as dull and boring lighting can make the images even captured by the professional and expensive camera useless and hopeless. So consider the tips that can be used in case of the lighting equipment. You really need some extra flashes for the shoot must have the characteristics of wireless connection, compatibility, rotating head manual setting and recycling time. Use the lighting and balance perfectly to conduct the elements of the house and the colors in the better way to the clients. Consider buying some of the significant lighting systems that are studio lamps, grid spots, black fabric, black foil, diffuser and most importantly the reflector cards. Invest in the best lenses that provide you the wide angle that must be ideal for photographing real estate. Make a choice between the prime and the zoom lenses depending upon the budget. Also, concentrate on the optimal focal length and with that on the manual focus which may take little time but provides you with the perfect architectural images. You can consider the options of Nikon and Canon camera lenses available in the market. Refer to below given camera setting for having the ideal images of the real estate. Always use the manual mode that allows the photographer to do the adjustment in the camera settings that will provide the champion images. Aperture is like the iris of the human eye that expands and contracts to depend on the transmission of the light. Know about the proper setting of the aperture that coincides with the daylight hours and the recommended one is F1.7 –F9. This will surely provide you with sparkling and beautiful pictures. Shutter speed purely depends upon the volume of natural light and for having the most beautiful images use 1/60 and ½ shutter speed. You can set the white balance ranging from 3000k to 4000k as it would definitely give better quality images by adding the blush shade to the pictures. The most unavoidable point that emphasizes the need of having the images with the perfect looks with most facilitated qualities having no flaws in them. The image retouching can be apprehended greatly by using the techniques of lines blending, exposure setting. You also have to consider for the photo correction and also have to set the clarity and sharpness of the images to known and desired extent. It will make your images really attractive and be imploring. Follow these expert tips to shoot for the interior photography. you definitely get brilliant results.